NUAIR Continues UAS Performance Verification » UAV DACH e.V. The U.S. Department of Transportation’s release of the NPRM for Operations Over People last month highlights the significance of NUAIR’s recently completed ASTM parachute recovery system (PRS) standard test campaign. 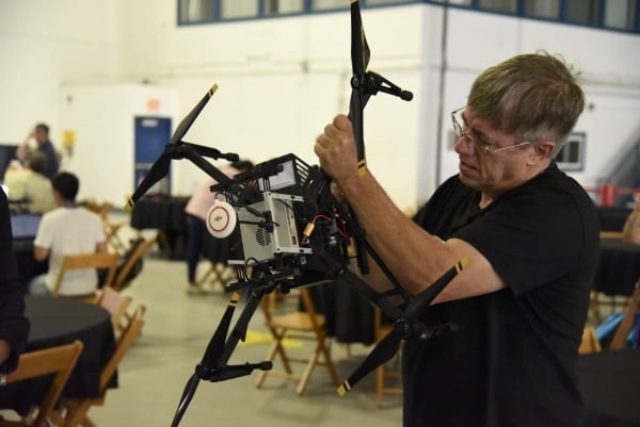 NUAIR recently partnered with Indemnis, the manufacturer of a UAS PRS that could be used during flights over people, to successfully complete the required test flights at the NY UAS Test Site using a DJI Inspire 2 drone. UAV DACH: Beitrag im Original auf https://www.uasvision.com/2019/03/19/nuair-continues-uas-performance-verification/, mit freundlicher Genehmigung von UAS Vision automatisch importiert. Der Beitrag gibt nicht unbedingt die Meinung oder Position des UAV DACH e.V. wieder. Das Original ist in englischer Sprache.